Do you have a loathing for the Rebellion? Do you want to join the First Order? Well, you can show your support for the First Order with a stylish flap purse. 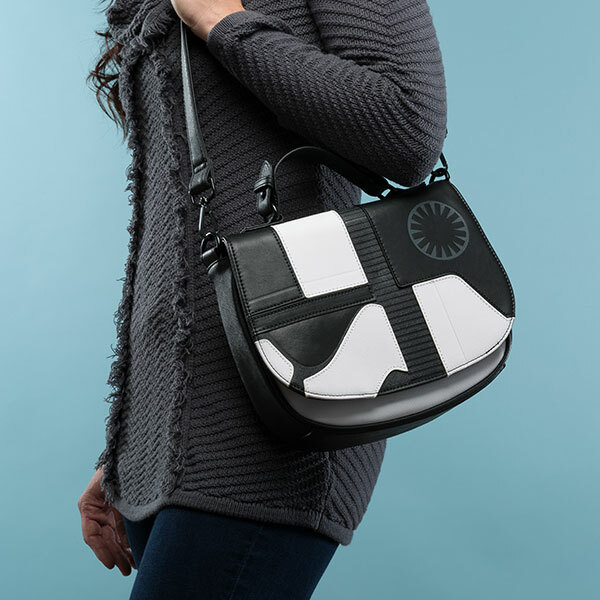 The purse gets its design from the new Executioner Stormtroopers from Star Wars: The Last Jedi with its sleek black and white design. Half of the flap looks just like half of a stormtrooper’s mask and the First Order insignia is in the corner. This officially-licensed purse is made of simulated leather and has a fabric lining to be soft against your belongings. Those pesky rebels will know you mean business as you go around town with this beauty. You can get your purse over at Think Geek now! It also makes a great present for the holiday season.